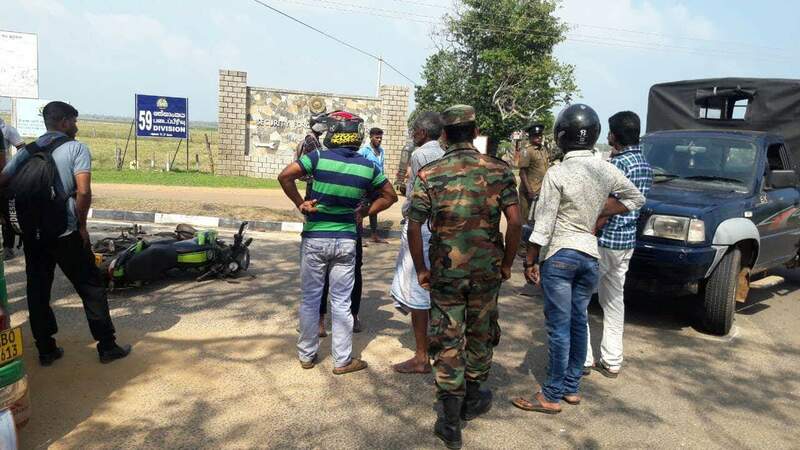 Two Tamil civilians have been injured by an army vehicle which crashed into a motorbike in Mullaitivu. Both civilians were admitted to Mullaitivu General Hospital following the accident, which took place on Mankulam road on Monday evening. Residents accused the army vehicle of being responsible for the accident by driving carelessly. Sri Lankan military vehicles have frequently caused accidents in the North-East, leading to the deaths of several Tamils in the region.